These high-quality filters go inside your dust mask to filter out dust, pollen, bacteria, auto emissions, and other pollutants. Instead of having to replace your whole dust mask when it’s had enough exposure, you can just switch out the filter. 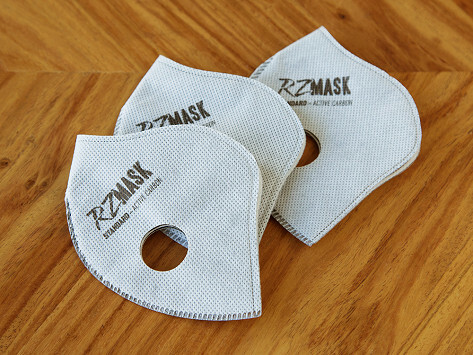 Dimensions: Medium: 5" x 4" x 0.5"; Large: 5.5" x 4" x 0.5"; Extra Large: 6.5" x 4.5" x 5"
RZ Masks are flexible enough to conform to your face but also to fit in your pocket. And they’re practical enough to keep using half the mask over and over again.